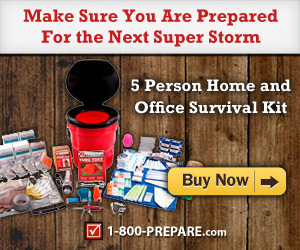 Even if a major disaster seems unlikely, you should have a variety of emergency kit supplies. The size of these kits and the items in them will vary depending on the size of your household. If there are people with certain needs or health conditions, the kits may have additional items. Everyone should have some standard emergency kit supplies in a go-to-bag in the event of a disaster. Among these are basic first aid and medical items, although some emergency kits will have first aid items as well as other necessities. First aid supplies should include burn creams, over-the-counter painkillers, bandages, gauze and tapes, scissors, tweezers, cold packs and antiseptic wipes. For most people, the following 52 items below are important items in their emergency kit supplies. Sleeping bag: Suitable even in cold weather, especially if you live in an area where the temperatures can become freezing. Tools such as a hammer, screwdriver and handsaw, etc. Vital documents: Keep copies of personal items such as birth certificates in waterproof sleeves, etc. Some of the items above may seem excessive, but you will not be taking all of them with you. In most cases, they will come in handy if you are unable to leave home for an extended period. Depending on your lifestyle, the emergency kit supplies will also include items such as rifles, handguns and bullets, traps to catch animals for food and survival garden seeds. A medical first aid kit, should of course be top of your list, plus sweets and energy bars can also provide a treat when you need a lift in morale during a taxing day.